Bordeaux is a city of sporting tradition, dominated mainly by football and rugby. During your visit at Bordeaux it is possible to view matches with FC Girondins de Bordeaux (football) or Union Bordeaux Begles (rugby). To keep active during your stay, there are the dock banks of the Garonne, which stretch to just less than 6km, and which are an ideal place for lovers of jogging, cycling, rollerblading and urban walks. 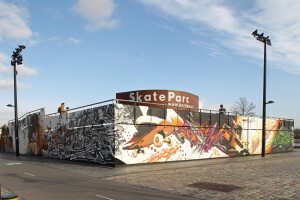 At the Sports Park situated at Saint-Michel there is free access to urban football, basketball and volleyball pitches. Nearby at the Hangar 14 there is the Skate Park des Chartrons; an open air space, one of the largest existing open air skate parks in France, entirely dedicated to skateboarding, rollerblading and BMX.